Designed for general-purpose kitchen extract use, the Standard Grease filter is suitable for removing airborne fats and grease from the atmosphere. 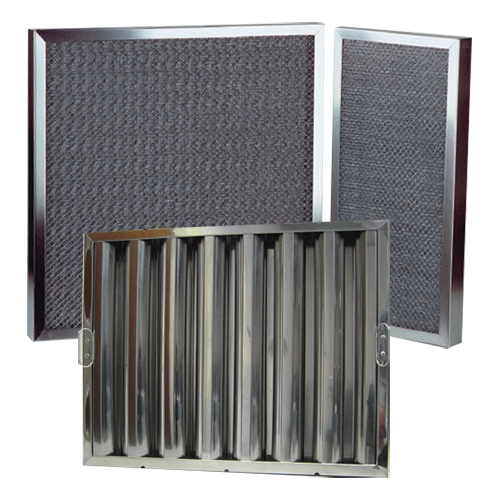 Regular maintenance by degreasing the panel ensures optimum performance at all times.The Baffle grease filter reduces the fire hazard above the heat source through its unique design concept of interlocking baffles. 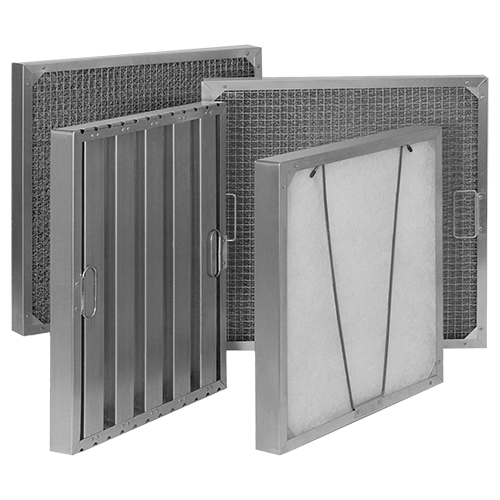 Standard - The cell is produced using the fully enclosed frame method of construction, with a galvanised crimped knitted mesh core and galvanised weld-mesh grilles and frame. A heavy duty version is also available. 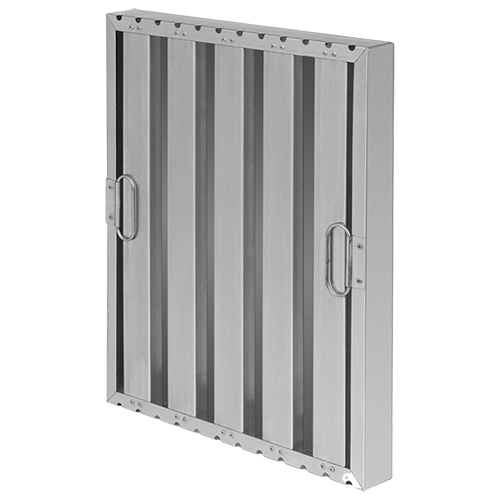 Baffle - A series of vertical stainless steel or aluminium air baffles are housed in a heavy- duty frame of the same specification. Each of the baffles is strategically aligned to create a complex path for the air to pass through. As the grease laden air enters this path the deposition of the grease occurs and the grease is captured without the risk of re-entrainment. 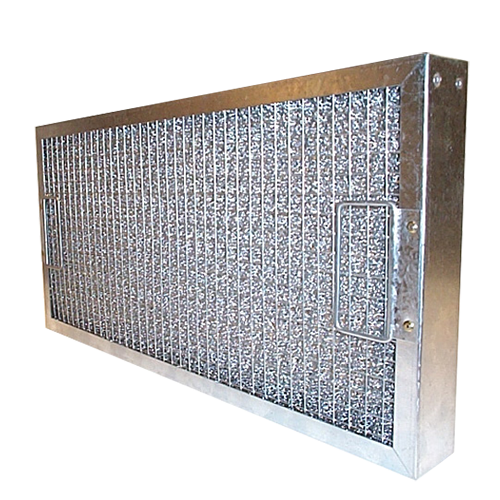 Due to the smooth nature of the baffles, the grease runs downwards, and out through drainage holes and in to collecting trays located in the casing. Stock sizes available along with custom sizes to order. Handles and drain holes also available.